In their world predictions for 2015, Psychic Source Advisors foresee political and weather ups and downs. Their numerology predictions suggest increased prosperity and spiritual strength. If you add the numerals in 2015, it comes out to an eight, which means we will see more creative solutions to counteract difficult human conditions. The good news is that in 2015 the world will be more prosperous; the bad news, that it will be more volatile. So say the seasoned Psychic Advisors of Psychic Source, the most trusted psychic service since 1989. So what can we look forward to in the year to come? It seems like some ups and downs are in store, but the psychics say that, on the up side, we will see more creative solutions to counteract the difficult human conditions that may arise. “Hold on to your hat!” suggests Psychic Karenna. 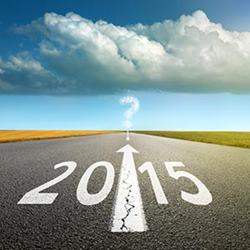 Indeed, based on these 2015 predictions, it sounds like the year will be quite a ride!